Mark your calendars for Saturday April 28, 2018 because we’re hosting an on-the-water kayak demo day! Whether you’re new to kayaking or you’re an expert, this is a great free event to test out all the latest boats from top brands like Bonafide Kayak, Jackson Kayak, Diablo Paddlesports, Feel Free, Native Watercraft, Riptide, Viking, Wilderness, Perception, and NuCanoe. We’re bringing almost all the latest models that we carry for you to paddle and test drive with experienced kayakers available if you need help. 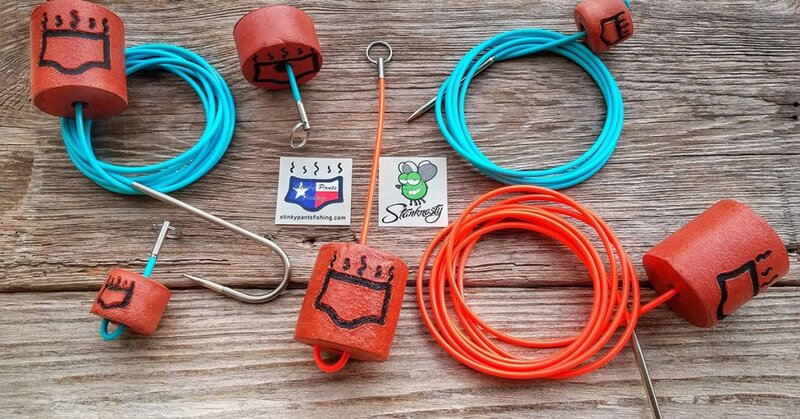 Stinky Pants Fishing is very excited to release 2 new hot colors – Teal and Neon Orange are hitting the water near you. Available in 12 ft Originals, 8 ft Pro Series, and 12 ft Stinky Hookers. These stringers are hand-made right here in Texas with the highest quality craftsmanship. They won’t knot, fray, ravel or get stuck on teeth or hooks. Taking your fish off this stringer at the end of the day is slicker than trout slime, just release the stringer and drop your catch right into the cooler. Sharkathon 2017 is Coming Soon! Sharkathon is a 501(c)(3) non-profit created by surf fishermen for surf fishermen, and raises funds for several non-profit and education organizations. This is not just another shark tournament. 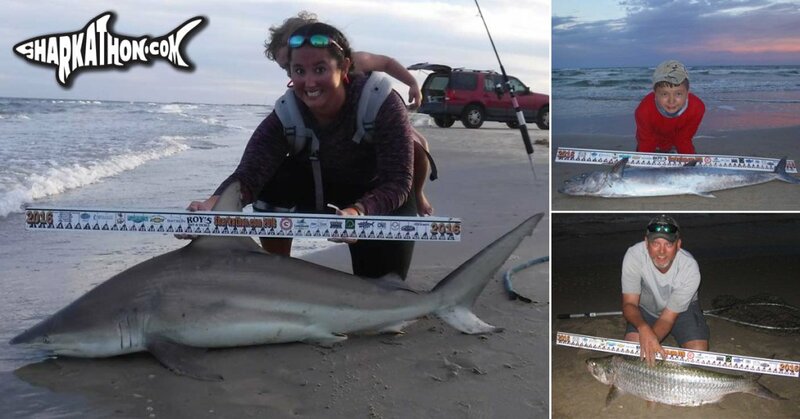 Sharkathon is a catch, photo, release tournament with awesome catches and awesome prizes. 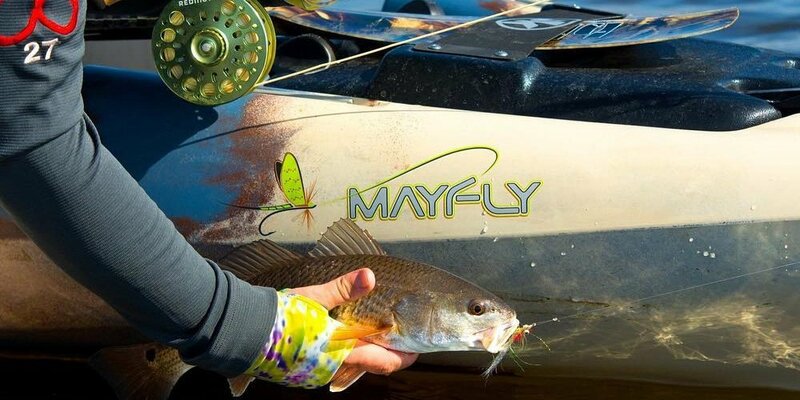 Besides the shark categories, there’s divisions for redfish, trout, tarpon, kids, and women. The 2017 dates have been announced! Primary dates are October 13-15, and backup dates are November 17-19. Signup dates will be announced soon. Check out sharkathon.com for more details on the tournament. Contest: Please review some products! Those of you who shop in our store know the benefits of feeling a product in your hands before buying it. You get to adjust the drag on a reel, cast different fly rods, see lures with your own eyes. People who only shop on our website don’t get the opportunity to do that before they buy, so it’s harder to decide. But they can read your reviews. Some ground rules: Only review products you have experience with. Be honest and keep your reviews PG rated. Review as many products as you want for more chances to win. How to win: Go to a product’s page on our website and click the Reviews tab to leave a review. 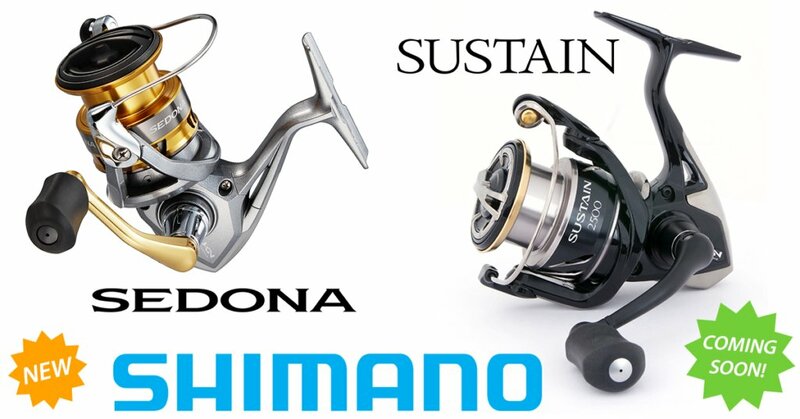 We’ve got two new spinning reels coming soon from Shimano – the Sedona FI and the Sustain FI. These reels are available for pre-orders NOW and will ship mid to late August (most likely…we’ll update you as soon as we get a firm ship date). Free shipping on all pre-orders! The NEW Shimano Sedona FI is lightweight, with increased gear ratios and drag power. This spinning reel has models for everything from light freshwater to heavier offshore applications. Available in sizes 1000 through 8000. The new Shimano Sustain FI is a premium spinning reel with high-level water resistance. It has the power and rigidity to handle a wide variety of fishing challenges. Available in sizes 2500 through 5000, with all the latest Shimano fishing technology. Rinse the fillet with cold water and pat dry with a paper towel. Rub your fingers over the fillet to be sure that there are no bones. If you feel a little bone, remove it with a knife. 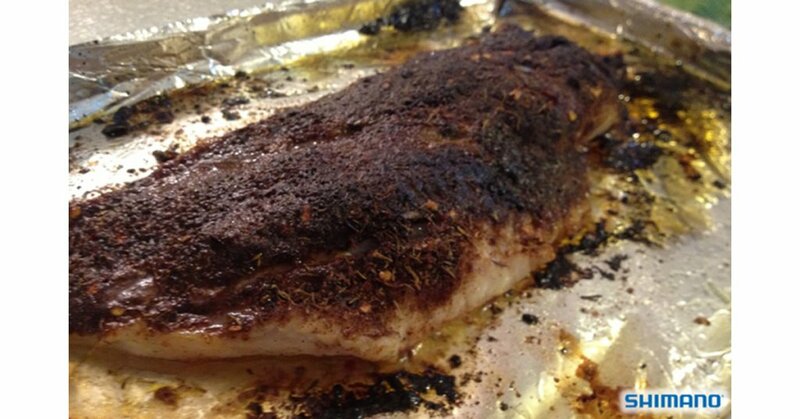 Line a baking sheet with foil and rub with oil or spray with a non-stick spray. Set the grouper on the baking sheet. Sprinkle with salt and seasoning. Dot the top with butter. As it gets hotter and hotter, grouper go deeper and deeper. The vast majority of grouper move offshore in search of cooler water and to find easy meals out deep where bait fish are plentiful. 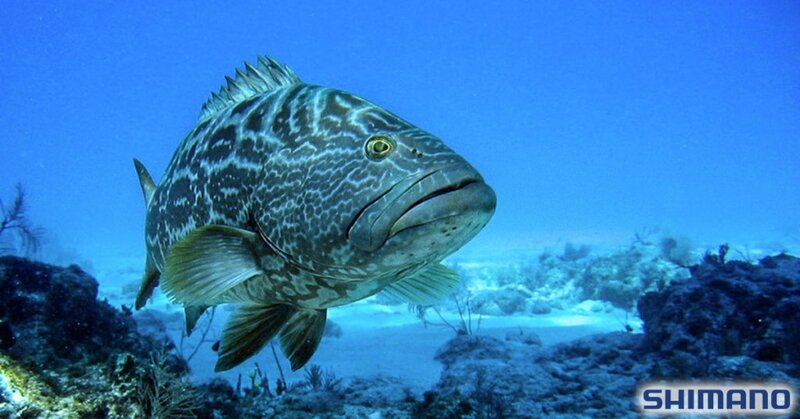 Groupers relate to structure, hiding in any crevices they can find, patiently waiting to ambush prey. Deep water area such as reefs, boat wrecks, and ledges are prime spots. Fishing heavy live bait rigs with pinfish or other lively baitfish is the go-to method. Be sure to have heavy-duty gear so you can pull fish out of cover quickly before they try to run your bait back to their hole. 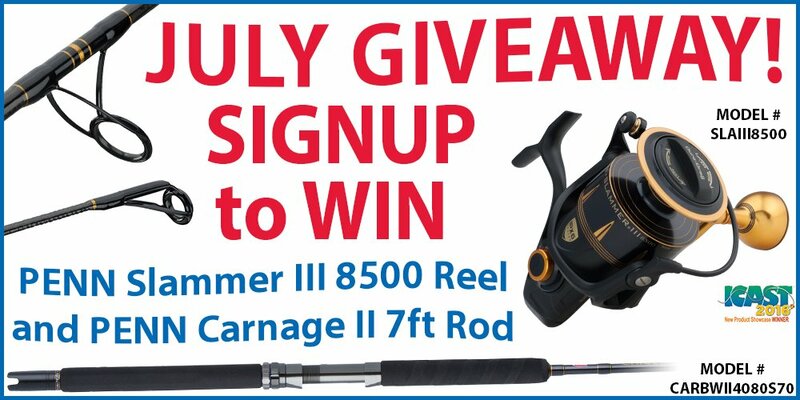 Signup to WIN a PENN Slammer III 8500 spinning reel and PENN Carnage II 7 ft spinning rod during July 2017! All you have to do is fill out the form below. GIVEAWAY IS OVER! THANKS FOR PARTICIPATING! Terms: No purchase necessary. Limit one entry per household. Must be 18 years or older. Winner will be notified by phone or email. Offer valid July 1-31, 2017. Do not have to be present to win. Winning items may not be returned or traded out. Winner can pickup items in our store or pay $35 to have them shipped via USPS. 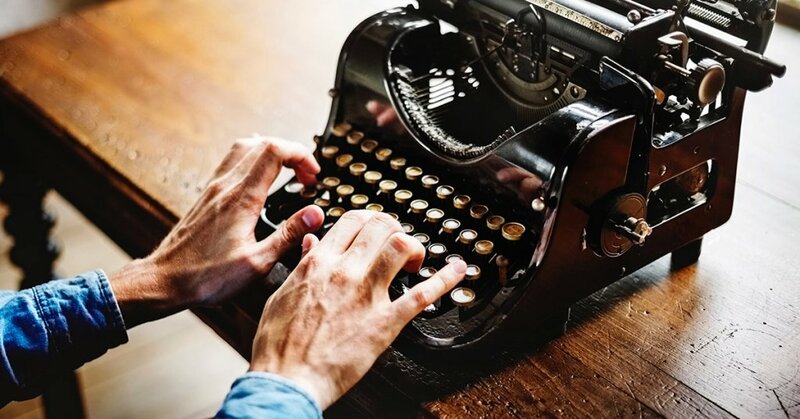 By signing up for this giveaway, you will be added to our email list where we send periodic updates about new products, special offers, and more. You may opt out of the email list at any time. Have your eye on an Avet Reel? 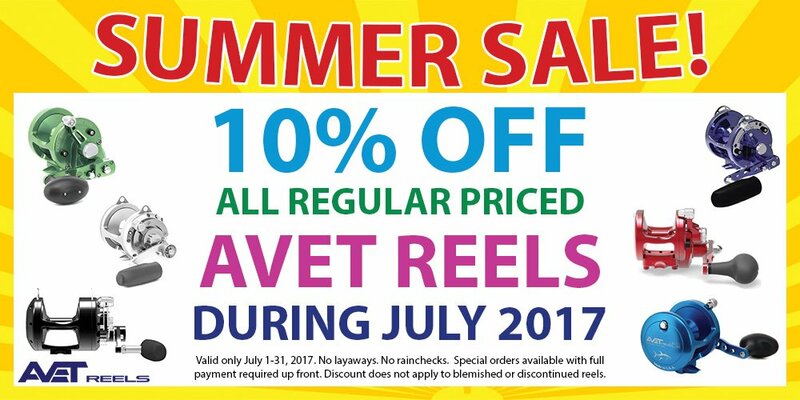 Well you’re in luck because for the month of July, we’re doing 10% off all regular priced Avet Reels! Valid only July 1-31, 2017. No layaways. No rainchecks. Special orders available with full payment required up front. Discount does not apply to blemished or discontinued reels. 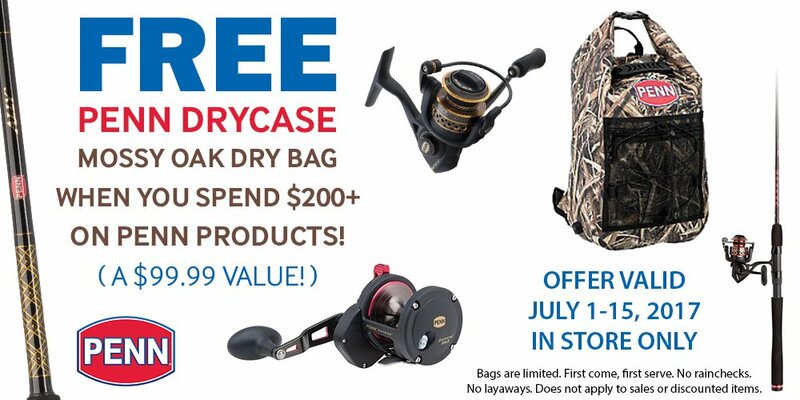 For a limited time only, get a FREE PENN Drycase Mossy Oak Dry Bag when you spend $200 or more on PENN products. Redeem your free gift at our registers when you’ve met the promo total! Bags are limited. First come, first serve. No rainchecks. No layaways. Does not apply to sales or discounted items. Promotion valid July 1-15, 2017. In-store only. Mark your calendars for Saturday, August 5th because we’re hosting an on-the-water kayak demo day! Whether you’re new to kayaking or you’re an expert, this is a great free event to test out all the latest boats from top brands like Jackson Kayak, Diablo Paddlesports, Feel Free, Native Watercraft, Viking, Wilderness, Perception, RipTide, and NuCanoe. We’re bringing almost all the latest models that we carry for you to paddle and test drive with experienced kayakers available if you need help. 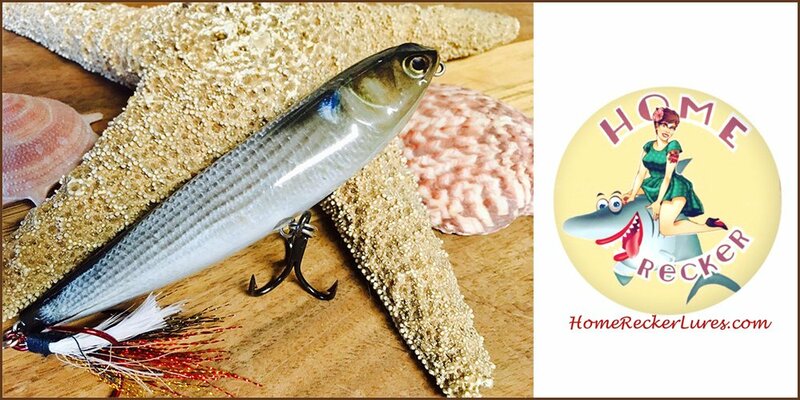 MEET AND GREET WITH AN AWESOME GIVEAWAY — M&R Tackle / Homerecker Lures will be here Thursday, May 18th from 2 to 6 pm, giving away 50 of their FAMOUS Roy’s Bait and Tackle South Texas Edition Mullet lures!! 50 customers who spend over $25 will get a FREE topwater lure, as shown in the above photo. Capt. Javi Castillo will also be here talking to customers about how he fishes the area, and how he’s successful day in and day out. From rigging tips, to where and when. M&R Tackle is also bringing new colors of their Jerk Bait and some BRAND NEW COLORS of the Paddle Tail that no one has seen before! All you have to do is mention this AD at checkout! Take a pic with Capt Javi. and Post on YOUR WALL tagging us.